One of the biggest challenges for Fast 5 is how to push the boundaries of an already formulaic film. 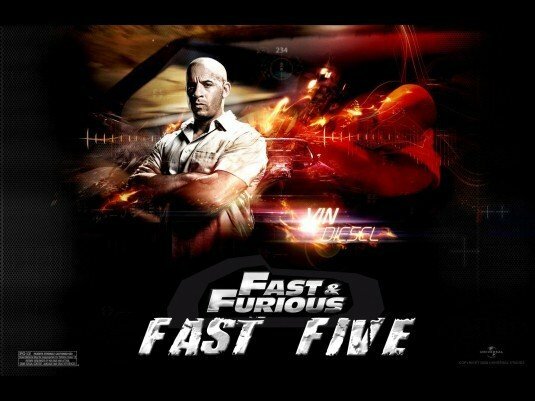 Of course, you’ll have to expect really fast cars, beautiful women and Vin Diesel with Paul Walker in a fight scene. But followers of the film franchise have practically seen it all and more. Fortunately, Fast 5 is something of a unique beast because it pushes the boundaries of an action film by completely disregards the laws of physics. A purist will immediately object to the action scenes of Fast 5 but it’s a film that doesn’t really care about those rules – and the filmmakers of Fast 5 are not apologetic in going overboard. In fact, going overboard is exactly what they intended to do and they have done it well. The particular scene where the vault gets dragged in the streets of Rio is absolutely stunning because it makes you wonder how they pull it off. Of course in the real world it wouldn’t be possible but it still makes an interesting spectacle. The actors and actresses have done their part without any errors although they will not reap any acting awards for their effort. Actors Vin Diesel and Paul Walker are still in their witty, buddy-relationship type of acting. The addition of Dwayne “The Rock” Johnson did not make any significant changes to the acting quality of the film but he is certainly a presence to reckon with as soon as he walks in the room with the intent of catching Diesel and Walker. We recommend the film to those that love the franchise and love action films. Just don’t expect this to be the next Saving Private Ryan.